Friday, December 14, 2012 . If you follow me on facebook or twitter, at some point you’ve probably seen a behind the scenes pic of me loading my car at World Market. Shhhh, it’s one of my favorite styling go-tos. When it comes to decorating for the holidays, I love going slightly untraditional. 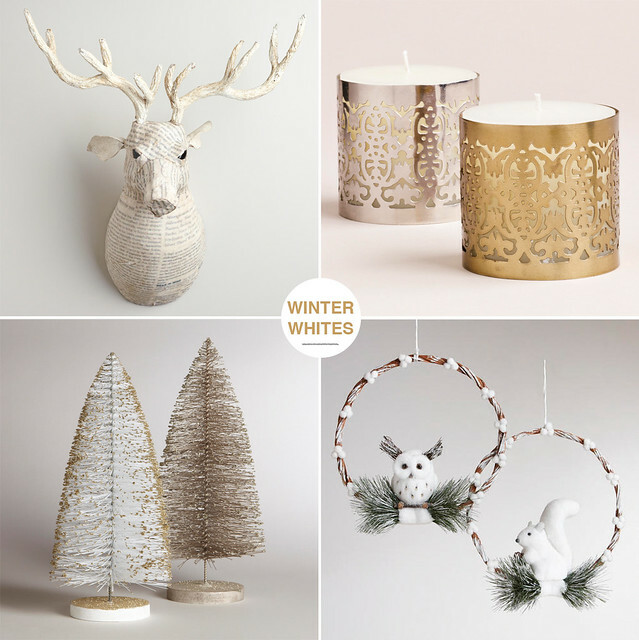 These wintery white decorative pieces are so lovely and still totally festive and would work for all kinds of holiday decor. In fact, I’d use that deer head year round. Isn’t it beautiful (and it’s on sale!) ? See all of their holiday decor here. Have a great weekend and happy decorating!